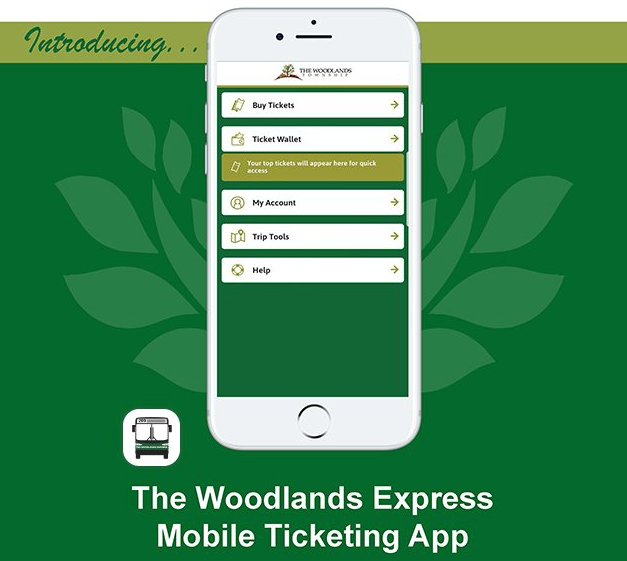 The Woodlands Township has launched a mobile ticketing app for riders of The Woodlands Express Park and Ride bus service, a technology-based alternative to traditional paper tickets. Tickets can now be bought anytime, anywhere, using the new app. The Woodlands Express Park and Ride service provides a comfortable, convenient and economical way to commute from The Woodlands to Houston, and new this year, offers reverse commute. The new mobile ticketing app is available for free download in the Google Play Store and Apple App Store. 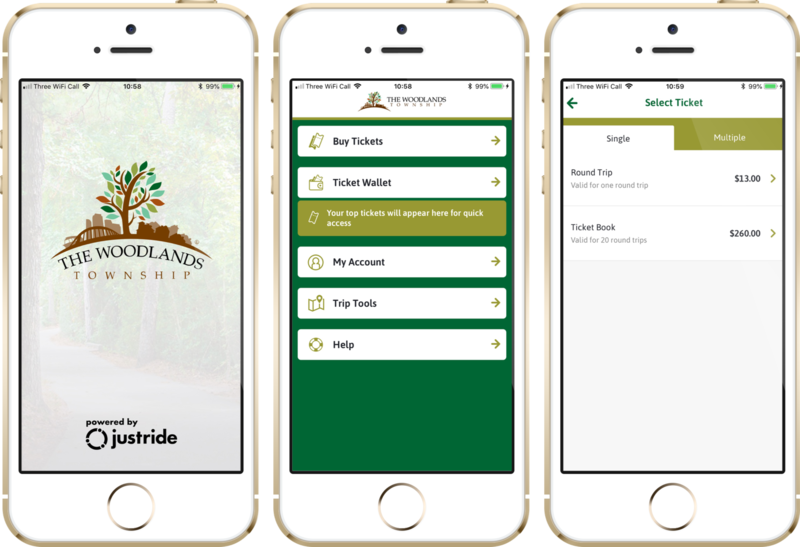 Riders may purchase tickets on their smartphones anytime, anywhere and display them when boarding the bus. Riders using the app can pay for tickets using a credit or debit card, or via digital payment services such as Masterpass. Both round-trip tickets and ticket books, which give riders 20 round-trip tickets, are available. Once purchased, the tickets work offline and are stored in the app.